I’ve never made a pizza that I didn’t like, they’re fail proof! When I have the extra time I make my own dough, but for the most part I buy it at Trader Joe’s or at my local pizza place for a few bucks. The important thing is the oven temp. I like a thin pizza and cook it on the pizza stone, so I usually do it at 400 or so. But some people crank it to 425 or higher. Once you make your own pizza at home you’ll never order it again! Preheat oven to 350 degrees. 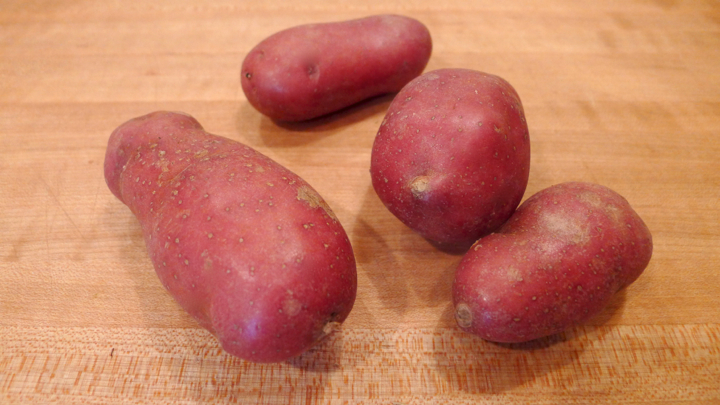 Toss the sliced potatoes in olive oil, salt, and pepper, and roast for 20 minutes or until golden brown. Remove from oven and set aside. Turn oven up to 400 degrees. On a floured surface, roll out your dough to desired thickness. 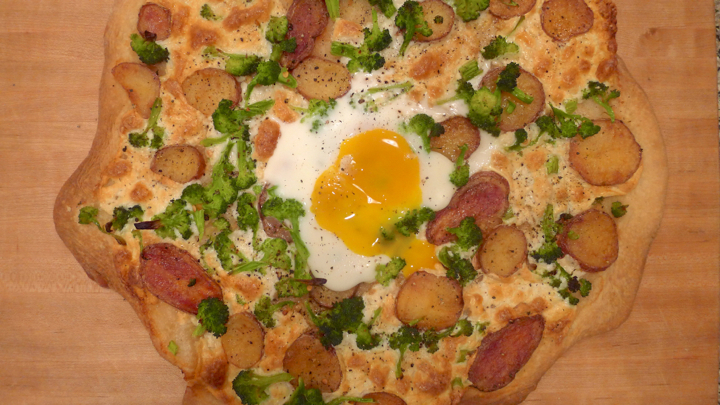 Place on a parchment paper lined baking sheet, or use a pizza stone if you have one. Bring a pot of water to a boil. 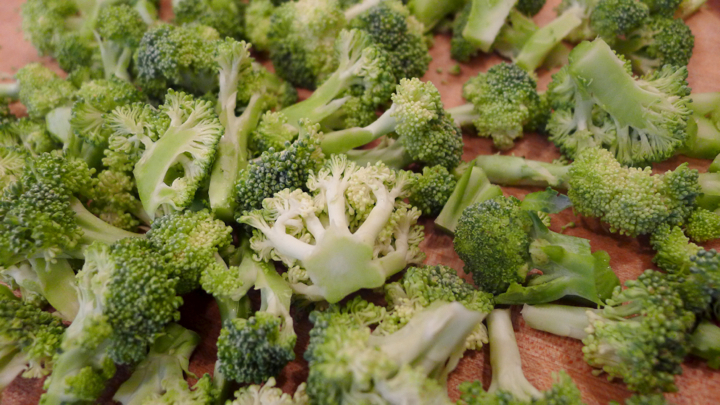 Cook the broccoli for 1 minute, then transfer to a bowl of cold water to stop the cooking process. 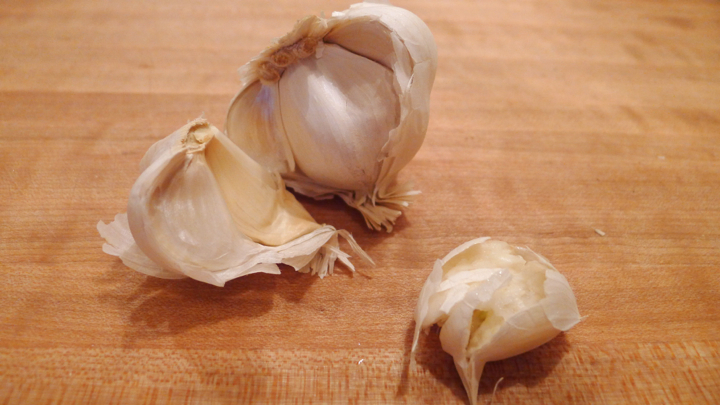 Next, saute the garlic in some olive oil for about a minute, making sure not to burn it! 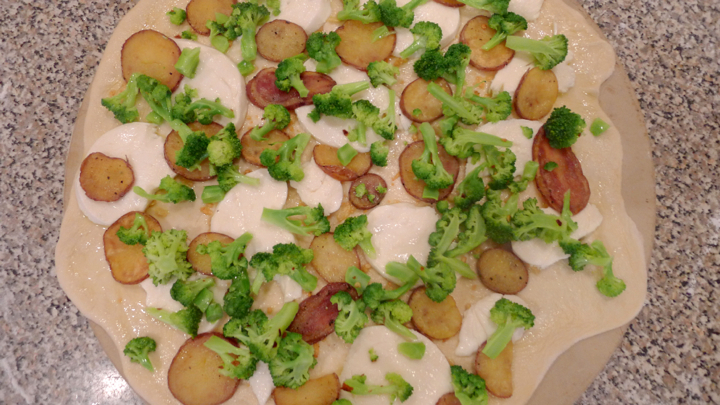 Brush the dough with the garlic olive oil, then add layers of mozzarella cheese, potato, and broccoli. Cook the pizza for 15 minutes, then remove it from the oven and crack and egg in the center. Place back in the oven for 10-12 minutes or until the white is set but the yolk is still runny. 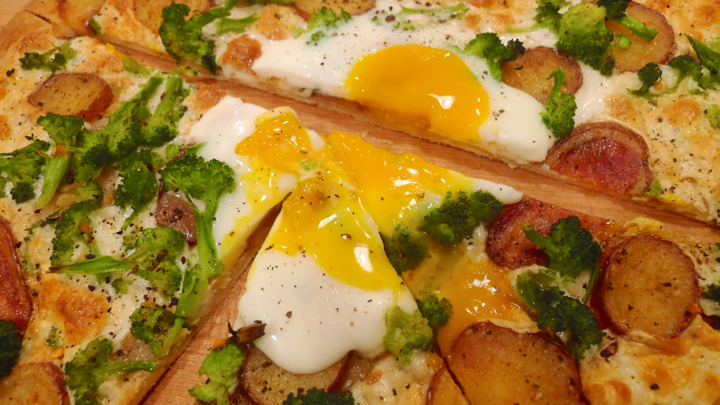 Remove from oven and with a fork break the yolk so it runs a bit onto the pizza (the best part!) and serve right away. Enjoy! That last pic is making my mouth water! But I can’t decide if for breakfast or dinner!